Hi everybody! It’s been a really long while….I’ve been out in Europe on tour, and then back in the states working on a new album, moving into a new apartment, and doing a LOT of job-hunting and penny-pinching. Actually, it seems like everybody has been doing that, to not much avail, so I’ve whipped up this handy dandy little recession mixtape to lift your spirits and/or maybe make you want to hang yourself. It’s mostly old disco & soul cuts, because that’s what I gravitate to when I am broke for some reason… Anyway, this one goes out to all my fellow unemployed homies–hope you enjoy it! 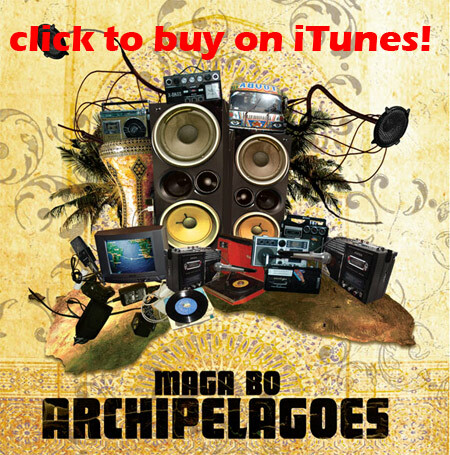 Chicago Public Radio’s Tony Sarabia calls Maga Bo a favorite of this year’s festival. You can listen to the show on their website (listen around 24 min. in). …This Wednesday, Operation Underground kicks off its ‘Home Grown Sessions,’ a series of parties spotlighting DJs and producers from the thriving local scene. The first of these features DJ FLACK (Tony Flackett), who runs the Beat Research weekly at Enormous Room.